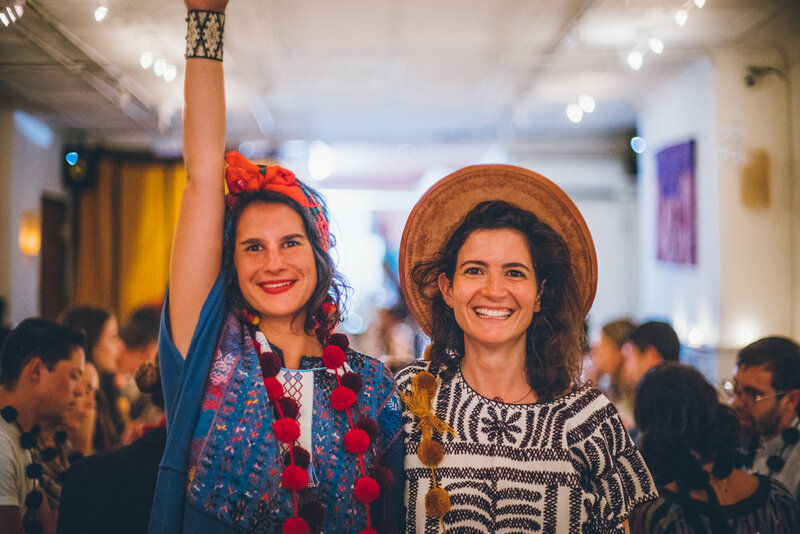 "To shine your brightest light is to be who you truly are"
Ubuntu Market is a project born from the hearts of Kytzia Bourlon and Yoana Cortes, as a passion for artisanal works and for the desire to create and leave a positive impact on the planet. The relationship of this duo started at the year of 3 years old. Since then, they have been best friends. Kytzia, has a background in fashion and strategic design, and Yoyo a hospitality background. The result of joining forces, created Ubuntu. Ubuntu Market started in 2016. Now days, through different experiences (sourcing with awareness while supporting artisanal communities, organizing conscious pop ups, culinary & cultural experiences, co - creating experiences, besides others), we want to create a conscious community. Ubuntu is about feeling and experiencing live through movement, colors, sounds and freedom. A community of people that cares about humanity, about human connections, about nature. People trying to preserve ancient traditions, spreading the knowledge and wisdom of our ancestor, and going into a journey of finding and expressing your soul. A community of people that believe that we are all interconnected. A community of people coming from different backgrounds, different stories, different cultures and wanting to rescue the essence and values of different cultures. Doing this as a team work, as a collaboration, as a co creation of a better place for all to life in. A community of people that see and values each other. That cares about community, and speaks from the heart. Ubuntu is about feeling and experiencing live. Through movement, colors, sounds and freedom, inviting you to explore and letting yourself be. Encouraging people around you to be. To be your true and highest self. A community of people that are paying more attention and are acting more intentional in whatever they do. Since the food they eat, to how they connect with the neighbor, to be aware of where they are investing their money and which projects they are supporting. About getting to know the story of people and their projects. A community of people that are in service to humanity. That each one is constantly working on themselves, on founding which are their gifts or "superpowers", to be able to share them with the world. Our best seller, and most popular product are our Magical Pompoms. We’ve taken as a mission to spread the love for pompons, as we have seen how they have the gift to bring happiness to people’s lives.